'It all happened by accident, really', says Pat. 'I was asked if I could help a building company with their metrication program. 'I innocently said "yes" not knowing that this would lead to a lifetime fascination with the mental, moral, and social processes that individuals, groups, companies, industries, and nations use for a profound industrial change – such as a change of measurement. 'Both the senior managers of the building company and I were pleasantly surprised when we realised that their company would increase their annual net profit by more than 10 % with their new measurement policies, and that this gain would occur every year into the future. They are still enjoying this profitable competetive advantage after 30 years. 'These days, I help people understand how to go about their metrication process – quickly and easily – by helping them avoid the mistakes that I made myself, or that I have seen made by others'. After 30 years involvement with 'Metrication matters', Pat is now a highly knowledgeable metric enthusiast, who is also a writer, speaker, editor, and publisher. Pat specialises in the modern metric system based on the International System of Units (SI), but he is mostly concerned with the processes that people use for themselves, their groups, their businesses, and their industries, and their nations as they go about their inevitable metrication process. In 2003, Pat Naughtin was recognised as a 'Lifetime Certified Advanced Metrication Specialist (LCAMS)' by the United States Metric Association. Pat has been awarded an 'Accredited Speaking Membership (ASM)' by the National Speakers Association of Australia. This accreditation is modelled on certification such as CPA in the accounting profession. The ASM in Australia also gives Pat an accreditation to the National Speakers Association of the USA and the International Federation for Professional Speakers. 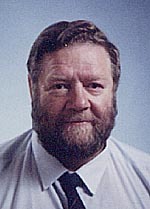 Pat was Manager of an Education Centre, and subsequently Communication Manager for one of the larger divisions of CSIRO (Australia's Commonwealth Scientific and Industrial Research Organisation). Pat completed the 'CSIRO Management Program' specifically designed to prepare middle-level managers for senior positions. Pat completed the Trained Technical Teachers Certificate (TTTC) at the Hawthorn Institute of Education, now an affiliate of Melbourne University. His studies included separate special-method studies in agriculture, mathematics and science as well as psychology, sociology, history of education and general methods of education. Pat studied agriculture at Longerenong Agricultural College, an affiliate college of Melbourne University. While he was there his studies for his Longerenong Diploma of Agriculture (LDA) included: agricultural engineering, botany, bookkeeping, business administration, chemistry, entomology, geology, mathematics, microbiology, physics, plant pathology, rural economics, rural sociology, soil conservation, soil science, statistics, veterinary science and zoology. Other studies were beef, dairy, pig, poultry and sheep husbandries, orcharding, vegetable growing, and silviculture, together with various trade courses including butchery, blacksmithing, carpentry, painting, plumbing, and saddlery. Pat has worked on measuring methods in agriculture, building construction, civil and chemical engineering, cookery, dairying, education, forestry, grain production, horse management, piano making, recycling, solar engineering, and textile processing. Members and guests I would like to introduce our guest speaker, Pat Naughtin from Geelong in Australia. Initially, Pat studied agricultural science and then worked with researchers in cereals, fruit, vegetables, solar energy, forestry, building, fire, heating, cooling, leather, clothing and textiles. After working in various divisions of the Australian Commonwealth Scientific and Industrial Research Organisation (CSIRO), he now writes about science in encyclopaedias and textbooks — and he publishes cookbooks. Pat has written, edited, or published: science textbooks, a biography of a builder, several books about law and order in Papua-New Guinea, and he was the lead writer of a chapter of a chemical engineering encyclopedia. Pat also edits the numbers and measurement section for the Australian Government 'Style manual: for writers, editors and printers'. Pat has specialised in studying measurement in many crafts, trades, and professions for more than 30 years. He has written and advised on training manuals for the bricklaying, carpentry, electrical, machining, piano making, plumbing, spinning, tanning, weaving, and welding trades. As a consultant on measurement, Pat speaks regularly to business owners and professional groups — in Australia, in Canada, in the UK, and in the USA — where he is invited to speak about the metric system.